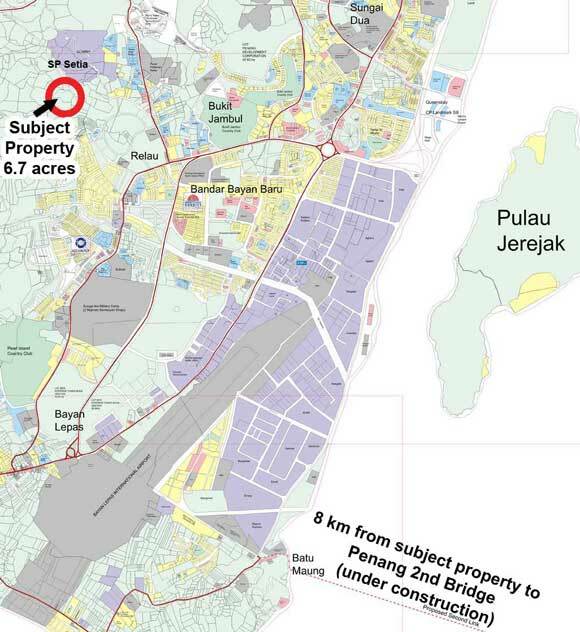 The subject property is located only 8 km from Batu Maung which is the take-off point of the Second Penang Bridge. The neighbouring land of the subject property is currently under construction of houses or in the process of being converted into housing thus the price of this land will appreciate very soon. The owner's neighbour ( 6 acres ) can also be sold together at the same price.